There is no reason to delay having another baby after a stillbirth, research in the Lancet suggests. 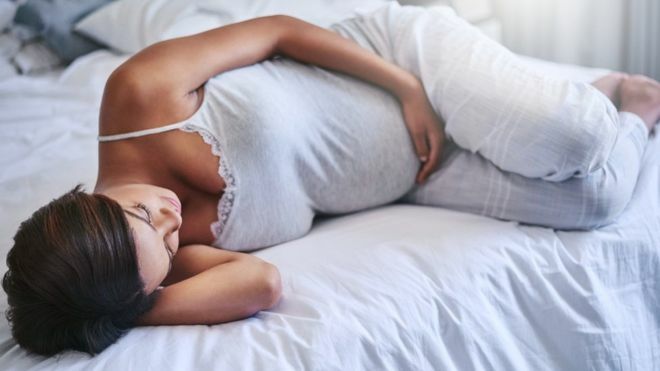 Although women are often told to wait for a year before getting pregnant again, there is little evidence to back up this advice. This international study of 14,000 births found no increased risk of problems if conception happened earlier. A UK stillbirth expert said the findings were important and reassuring. About one in every 225 births in the UK ends in stillbirth, which is defined as the death of a baby after 24 weeks of pregnancy in the UK. However, in this study, a stillbirth is defined as a baby's death after 22 weeks' pregnancy. Stillbirth rates have been gradually reducing in the UK since 2000, and more sharply since 2015, but compared with many other European countries, improvements in the UK have been slow. In many countries there is limited guidance available on planning future pregnancies after stillbirth, the study says. Manchester University's Prof Alex Heazell, spokesman for Tommy's stillbirth charity and the Royal College of Obstetrics and Gynaecology, said his message to women was "not to worry". "As long as they get all the information about why their baby died, then the choice of when to have another baby is down to when they are psychologically ready." He said there was no physiological reason to wait more than a year before trying for another baby. "Stress may exacerbate things and so waiting until that goes may be a reason for some to hold off," Prof Heazell said.